I developed my professional life in the television programming and advertising business in Peru for several years, after graduation from an advertising school (Instituto Peruano de Publicidad). Additionally, I spent a few years in a private university, in Peru, studying Economics. I have always been attracted to any kind of art, painting, drawing, dancing, sculpturing and, of course, photography. One of my life goals was to be able to work and make a living doing whatever makes me happy, and ... here I am ! Photography is my passion, but I am not just a photographer, I am a "Framer of dreams" and I love the fact I am helping people capture so many great forever moments in pictures to continuously trigger wonderful memories. My duty as a photographer in that special event is to capture the right picture in the right moment, then create it into a masterpiece. All of my pictures are like my children, my special creation and I will make sure not to just satisfy my clients but to exceed their expectations. I couldn't have imagined more beautiful photos for our wedding day. I highly recommend Sandro. He's very experienced and an excellent professional. He took time to understand what we wanted and on the day took hundreds of gorgeous photos during the pre-ceremony preparations, the whole wedding and reception, of us, our families, the venue and all of our guests, both posing and candid. What beautiful memories we have forever. You can see our photos on his website we're D&S. Thank you Sandro! 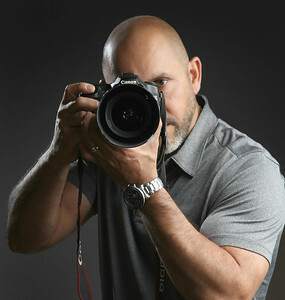 I contacted Sandro Gomez Photography to take some portraits for my retirement. He did an excellent job! Sandro was very patient, listened, offered suggestions and gave good feedback. It was obvious to me that Sandro is passionate about his work and I would highly recommend him for your special occasion! I love everything about Sandro's work. He is down to earth, very professional but also personable. He is very caring for the work that he does and very detail oriented. He was my photographer for our wedding, my maternity photo, our kid's birthday. I love and adore those photo albums very much.